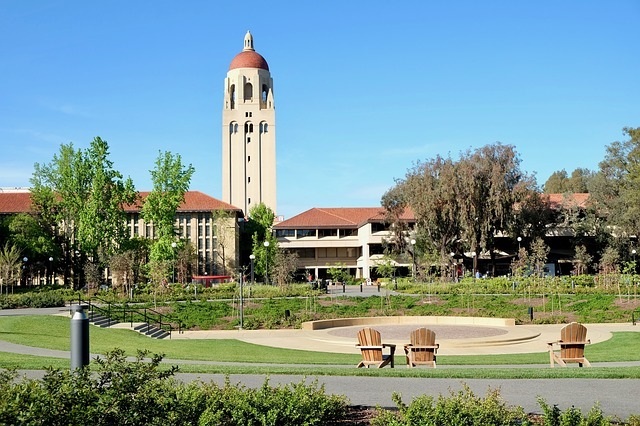 What Grad Programs Is Stanford Known For? As one of the top universities in the country, Stanford’s grad school programs are strong across the board. They are perhaps a bit better known for their STEM programs, but, as you can see below, they’re ranked highly in many liberal arts programs as well. Stanford’s Biological Sciences, Computer Science, Economics, History, Physics, Political Science, Psychology, and Statistics programs are all ranked #1 in the country, which shows that Stanford has top-notch programs multiple areas. Over 9,300 graduate students attend Stanford every year, with about 70% getting their Master’s degree, 22% getting their PhD, and 8% getting a professional degree. Because it has so many graduate programs ranked so highly, and because it has a strong reputation as one of the top schools in the US, Stanford is also one of the most competitive schools to get into, and it’s important to know what GRE you should be aiming for. The current national average for GRE test takers is a 150 on the Verbal section and 153 on the Quantitative section, but you should aim significantly higher than that if you hope to get into Stanford. Below is a chart showing the average GRE scores of accepted applicants for different Stanford graduate programs. Also included in the chart is if GRE scores are required or optional, the average GPA of accepted students, the program/school’s acceptance rate, and its ranking by US News. Programs that don’t accept GRE scores but require scores from a different standardized test (such as the law school, medical school, business school, and ) aren’t included in this chart. Programs that don’t look at any test scores, such as the Psychology program, also aren’t included. Not every program provided every piece of information. If the program you’re interested in isn’t included below, you can look for a similar program in the chart to get a general idea of the average GRE score. As you saw in the chart above, the average Stanford GRE scores depend on which program you’re applying to. The average scores range from 158 to 166 for Verbal, and 157 to 168 for Quant. Some have higher average Quant scores than Verbal scores (typically STEM programs), while other programs have higher average Verbal scores. For example, Stanford’s Master’s in Computer Science program has an average Quant score of 166 but an average Verbal score of 162. This makes sense since, as a STEM-focused Master’s program, you’ll be using STEM skills more than verbal skills. In order to determine the Stanford GRE scores you should set as your goal, we recommend finding the average GRE scores for the program you want to apply to in the chart above. If your program isn’t listed in the chart, look at the GRE scores of the closest program to it, or look up GRE scores of programs with a similar US News ranking. Then, add 2-3 points to both Verbal and Quant scores. Those are your goal scores. For example, if you want to get a PhD in Chemistry at Stanford (which doesn’t list average GRE scores), you can first look at similar Stanford programs, such as their PhD programs in Engineering (Q=167, V=159) and Computer Science (Q=168, V=165). It’s not a perfect comparison, but since they’re all STEM PhD programs, you can expect average GRE scores for all three programs to be similar. You can further refine this estimate by looking at a similarly-ranked nursing program at a different school. Stanford’s Chemistry program is ranked #2 by US News, as is Harvard’s program. The average GRE scores at Harvard for accepted Chemistry PhD students is 165 for Quant and 162 for Verbal. Average the three scores together, add two points to each to make sure you’re safely in the “acceptable” zone, and you’ll have your GRE goal scores, which in this case are about 168 for Quant and 162 for Verbal. If you’re applying to a Stanford grad program that doesn’t have the GRE scores of any similar programs listed in the chart above, you can find the GRE scores of similar programs at two different schools and make your estimate from that. 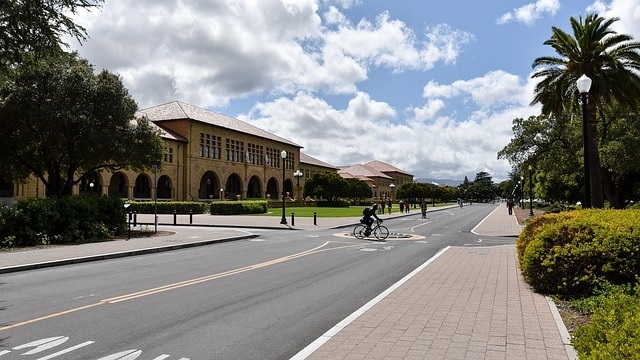 For example, if you want to get a Master’s in Sociology at Stanford, you’d find schools with sociology graduate programs ranked similarly to Stanford’s program (ranked 5th). UNC-Chapel Hill’s Sociology Master’s program is ranked 6th, so just below Stanford’s, and its average GRE scores are 160 for Quant and 162 for Verbal. UC Berkeley’s Sociology Master’s is ranked just above Stanford’s, and its average GRE scores are 154 for Quant and 161 for Verbal. Now find the average of those scores and add to points. This gives you 159 for Quant and about 164 for Verbal as your goal scores. Adding a few points to the average GRE scores of accepted students ensures that your scores will be high enough above the average to strengthen, not weaken, your application. However, it doesn’t set your goal so high that you’re spending too much time preparing for the GRE at the expense of other areas of your application. How Important Are GRE Scores for Getting Into Stanford? Knowing the average GRE score for the Stanford program you want to apply to is an important consideration when you’re working on your applications, but don’t assume that GRE scores alone are the key to getting into Stanford. GRE scores are an important part of your application (for programs that require the scores), but even top GRE scores won’t be enough to get you admitted to Stanford if your application is weak in other areas. Most graduate programs, including those at Stanford, care more about your undergraduate transcript, research/work experiences, personal statement, and letters of recommendation than GRE scores when making admissions decisions. These are what you should spend most of your time improving in order to have the best chance of getting into Stanford. It also means that, if you have low GRE scores but are outstanding in other areas, such as research you’ve done or work experience you have, you still have a solid chance of getting into Stanford. 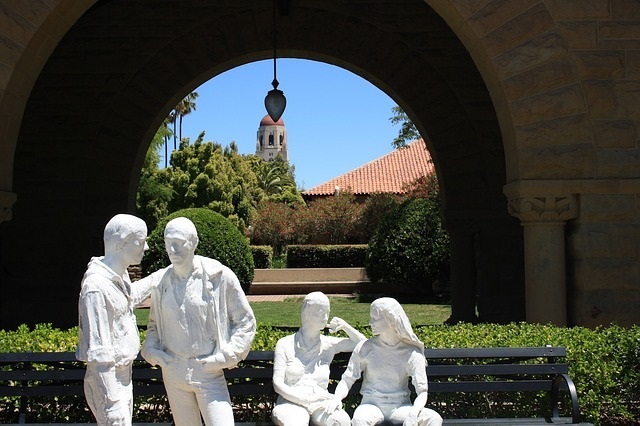 However, if you have a score that’s significantly below the average score of admitted students for that program, it may make the admissions committee doubt if you’re really capable of succeeding at Stanford. So spend time preparing for the GRE, but don’t neglect other areas of your application. Your time will be better spent creating an application for Stanford that’s strong across the board. Stanford is a world-renowned university, and you can bet the students that attend it are used to scoring well on exams, including the GRE. The average GRE score for Stanford computer science admitted students is 166 in Quant and 162 in Verbal (for Master’s students) and 168 in Quant and 165 in Verbal for PhD students. If you’re interested in attending business school at Stanford, the average GRE score for Stanford MBA students is 165 in both Verbal and Quant. 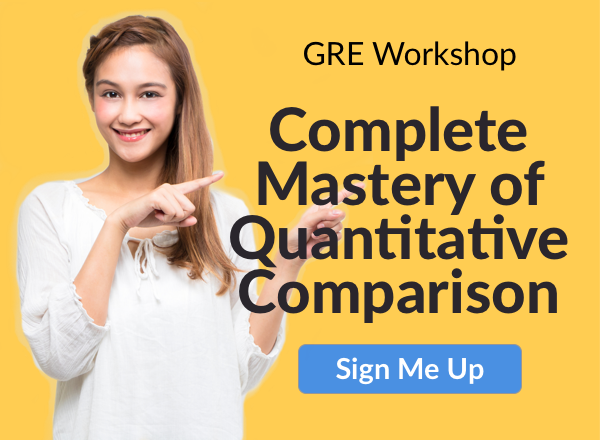 Many programs don’t post their average Stanford GRE scores, but you can get an estimate by looking at the average GRE scores of similar programs at Stanford or by looking at the average GRE scores of similarly-ranked programs at other schools. Your GRE goal scores for Stanford should be 2-3 points higher than the average GRE score for both the Verbal and Quant sections. This ensures your GRE scores are high enough to be a strength on your application. However, your grad school application is much more than just your GRE scores. You’ll also need a strong college transcript, excellent letters of recommendation, and relevant research/work experience in order to be a standout applicant and be accepted to Stanford. Next Next post: University of Washington GRE Scores: What Do You Need?